Gwendoline Christie fans already know that the actress made her name playing Brienne of Tarth on the hit HBO series 'Game of Thrones.' Viewers of that show are still buzzing about her character's sword duel with Arya Stark (played by Maisie Williams) a few episodes back. And now, someone has added LIGHTSABERS. 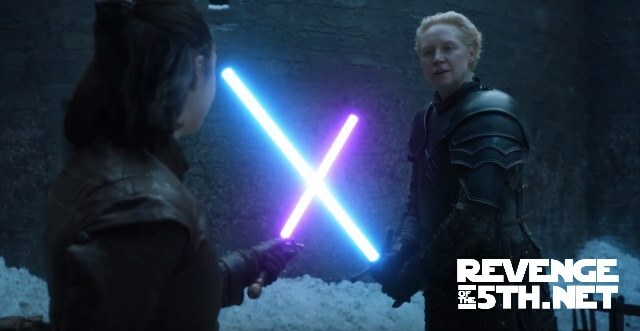 You can check out the video here, with Arya using her sword "Needle" to take on Brienne. It will just make you want to see Captain Phasma wield a lightsaber even more. What do you think of the video? Post your thoughts in the comments!